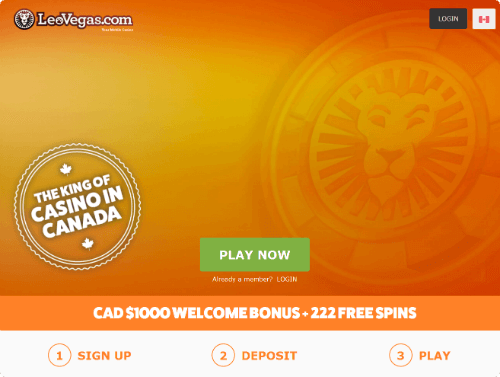 LeoVegas this great online casino has landed in Canada and it brings with it their award winning mobile casino, INTERAC ONLINE payment processing (and more) and one of the best suite of slots, table games and live casino available anywhere. LeoVegas is a trusted brand holding a licence in Malta, Denmark and the UK and is traded on the NASDAQ. LeoVegas has always been known to get the best games available to Canadians as they work very closely with slot providers like Microgaming, IGT, Quickspin, Play’n Go, Yggdrasil, Elk, Thunderkick, Big Time Gaming and more. Boosting over 400 different slot titles, some of the favorites for Canadians include Big Bad Wolf, Book of Dead, Golden Fish Tank, Wild Toro and Jurassic World. If Viking titles are your thing make sure to check out Vikings to Berzerk, Viking Runecraft and Vikings Go Wild. You will also find some really fun cartoon themes in Bloopers, Spinions Beach Party and Seasons. Whatever you are into LeoVegas has a slot game for you. For table game players LeoVegas houses over 20 different games including Pai Gow, Roulette, 3 Card Hold’em and a fleet of FELT games. 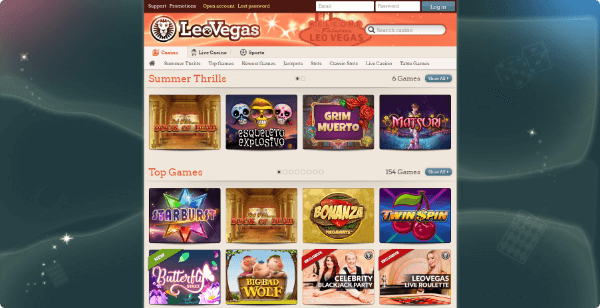 LeoVegas is known as having one of the largest selection of Live Games. Play Blackjack, Roulette, Baccarat, Ultimate Texas Hold’em, 3 Card Poker, Live Dream Catcher and more in just about every format and stake imaginable. Providers include Evolution Gaming and Leo’s very own Chambre Separee. 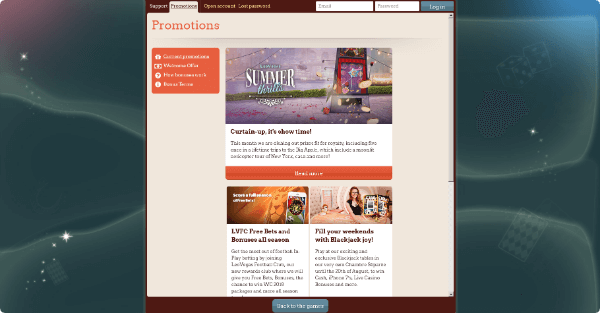 LeoVegas does a great job catering to the Live Casino player with great promotions, themed rooms and friendly dealers. The Live Casino experience is lightning fast on mobile and gives every player a tailored mobile experience. LeoVegas is well known for having an industry leading and award winning mobile experience.  The philosophy and development principles have been to develop for mobile first and the product shows with intuitive functionality, speed and graphics. The seamless transition from desktop to mobile is evident as the game selection translates extremely well. If you can play it on desktop you can almost always play it on mobile. This goes for the Live Casino as well with support for both Android and iOS. You can also find the LeoVegas Casino and Live Casino in the app store. Support runs around the clock at LeoVegas and are staffed with agents focusing specifically on Canadians. If you can’t find an answer in the FAQs or want to talk direct to an agent you can join the LIVE CHAT, email, fill out the contact form or call directly 24/7 toll free at 1-888-409-1165. When it comes to security of your funds LeoVegas takes this very seriously or they wouldn’t be a publically traded company on the NASDAQ and hold licences in three European countries. LeoVegas also only works with the best payment processors in Canada, including INTERAC, iDebit, InstaDebit, Paysafe Card along with Visa and Mastercard. I’d definitely recommend Leo Vegas to anyone who enjoys playing online. They have a fantastic array of really fantastic games and some hefty jackpots. I found the banking facilities very flexible and you can withdraw and deposit quickly and easily. Having played at Leo Vegas for the past few years I’d give them a very solid 4 out of 5 stars. Their games are great, they have awesome customer service and they know how to reward their players. Leo Vegas has to be one of my absolute best places to play online! I have had my share of wins at the casino and they have all of my favourite games. If you enjoy playing online then do yourself a favour and check out this site, it beats most the competition hands down. 5 out of 5 from me! I really enjoy playing premium games and the latest titles and I’ve found that Leo Vegas has some of the best games before some other casinos. Starburst and Immortal Romance are my favourites and the $1.000 bonus they gave me when I joined was super generous. I really enjoy the thrill of playing progressive jackpot games and Leo Vegas has a list of all of my favourites like Mega Moolah, Riches of Ra and Neon Reels. The bonuses that they send players are good and consistent and I think their support team is one of the best out there.